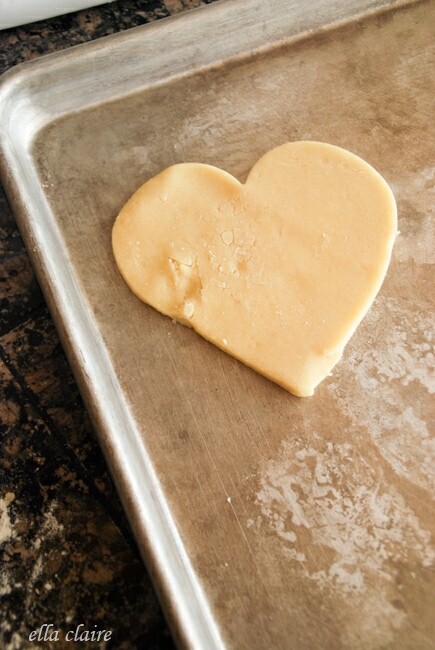 I almost forgot that I wanted to share this sugar cookie recipe with you. 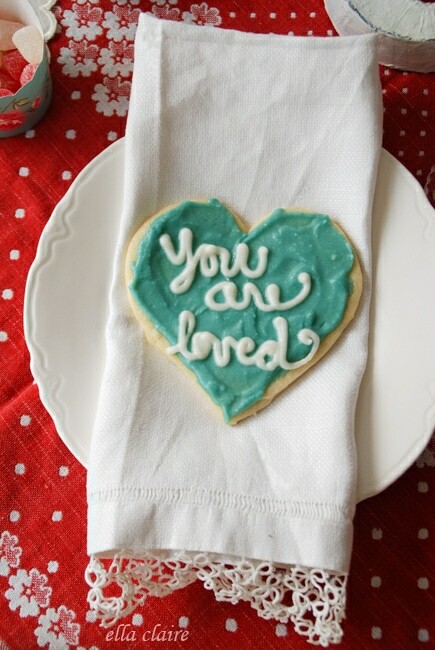 I made these cookies a few weeks ago when I did the post for Brave Girls Club. This is a recipe that I have made a lot and it always makes the yummiest, softest cookies. In your mixer, mix together butter, sugar, and baking powder until well combined. Add egg, milk, and vanilla, mixing thoroughly. Add flour 1/2 cup at a time. 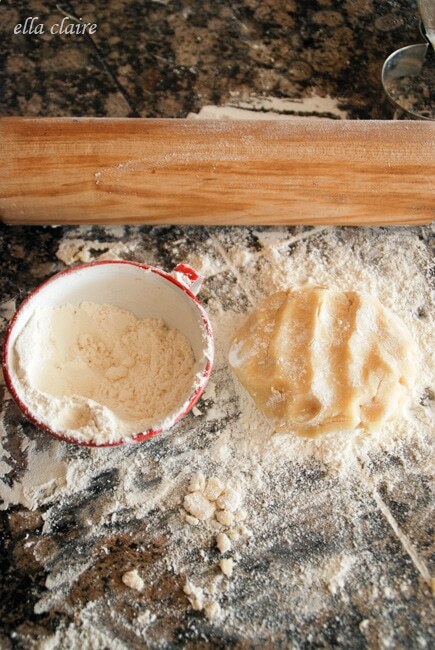 Roll dough out on a floured surface, cut with your favorite cookie cutters, and place on a lightly greased cookie sheet. Frost with your favorite buttercream frosting, and enjoy! NOTE: I usually throw my dough in the freezer for a few minutes to help it set up before I roll it out. I know that most people refrigerate it, but I am far too impatient for that! I usually throw my dough in the freezer for a few minutes to help it set up before I roll it out. I know that most people refrigerate it, but I am far too impatient for that! As you can see, my cookies are never perfect. That’s ok. They taste great! Bake at 375 for 7 minutes. If you like a harder cookie, bake for a minute or so longer. I love my cookies nice and soft so I usually watch them pretty carefully to make sure I don’t overcook them. 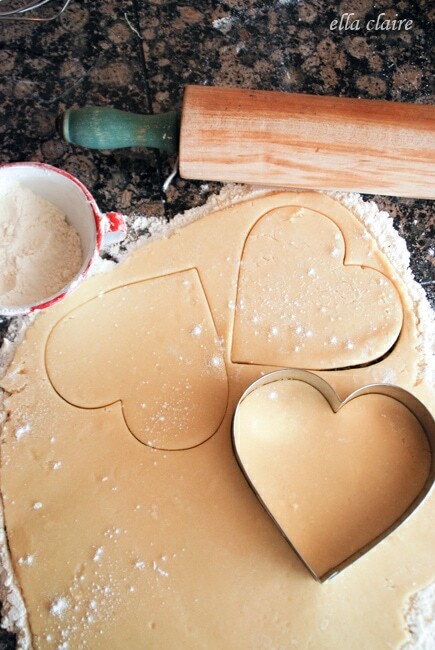 I so love soft sugar cookies! I’ve actually had trouble finding a good sugar cookie recipe that wasn’t crumbly or hard (maybe it’s just me! ), but I want to try your recipe soon for Easter!! 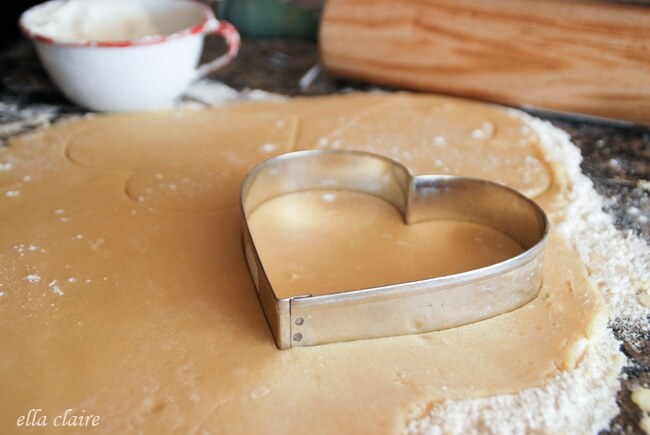 I already have a cross cookie cutter. 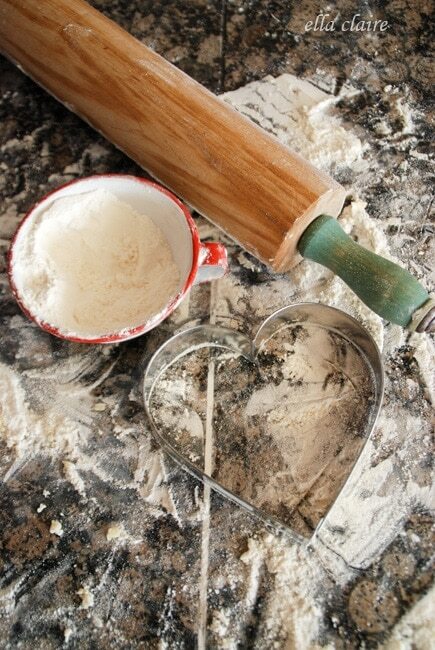 🙂 Your pictures are great… I love the first one with the rolling pin and tons of flour! Thank you so much for the recipe. I lost my favorite recipe years ago and have been trying to find a similar one. I know that it called for a tbsp. of milk, but can never find one with milk in the recipe. Your recipe might just be it. My kids are in town this weekend to run the LA Marathon and sugar cookies are my daughter’s favorite. So I know what I will be doing tonight. My sugar cookies always come out too hard…maybe I’m leaving them in too long. I’m going to try your recipe! 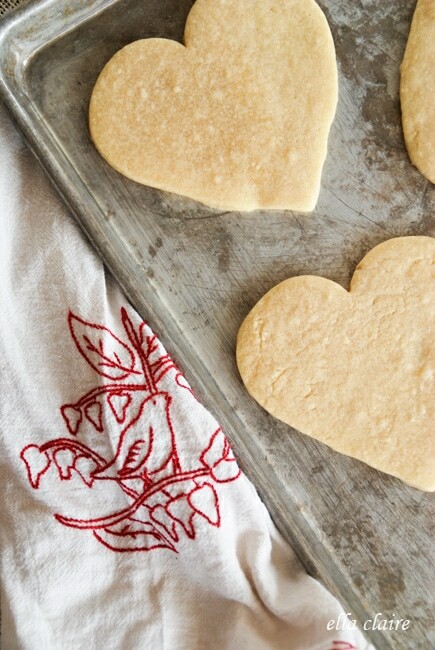 Soft sugar cookies are my favorite, too, and I needed a good recipe for them. Thanks, Kristen! 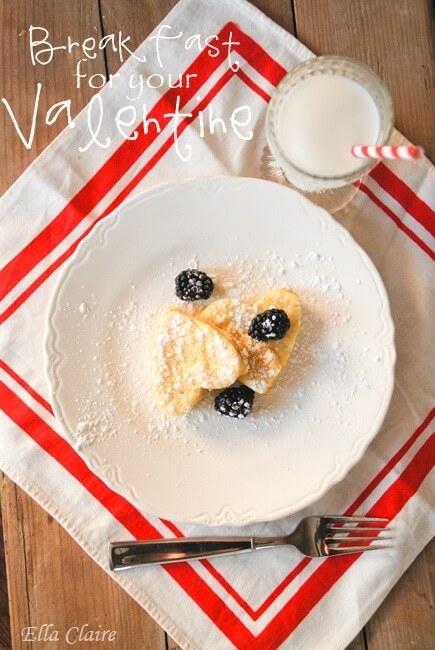 I absolutely adore your blog and am swept away by all your lovely pictures. so I became a follower or yours. I noticed you’ve got more than 600 of them. A number I can only dream of. As I’ve only been blogging for 2 months, my group of followers really is small (poor me) and to increase this number I’m doing 2 giveaways at once. Each time a new followers turns up, I do a little dance of joy. My goal is to achieve 55 of them by next wednesday. Getting there slowly but still need a bit of help.